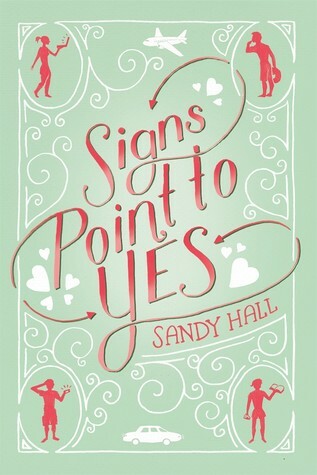 Signs Point to Yes by Sandy Hall is a charming young adult romance novel that will leave readers smiling because of the quirky and dorky characters in the novel, but also because there are a few moments that will just grab at readers' heartstrings. The book is fun, light, and easy to read, but it also has some emotional moments that make it seem more realistic. I can see myself adding more of Sandy's books to my library because this book is just too stinking adorable! Signs Point to Yes is told in third person, and I think that narration style worked well for this novel. I liked the fact that there is one steady narrator throughout the novel, instead of a few different voices. While reading, the singular narrator makes everything feel consistent and equal. I never felt like one character was more important than another character. There are also some cute details added to the book, like text messages and a few notes in Jane's handwriting. My only wish is that there would have been more of them to give the book just a little more character and consistency. The two main characters in Signs Point to Yes are actually pretty adorable. Jane and Teo used to be friends, but have grown apart since childhood. The two are thrown together again when Jane agrees to babysit Teo's younger half-sisters for the summer instead of taking a summer internship. Watching these two figure each other out is a bit embarrassing, and I'll admit that I suffered from severe secondhand embarrassment while reading. They are all sorts of awkward, but it's funny to see in action, even if you find yourself smacking your head from all the dorky moments. Teo's not the only one with sisters; Jane also has an older sister who is seen as perfect through the eyes of their parents. This frustrates Jane because she feels very lost and out of place. Margo feels just as out of place as she is struggling to come clean with her parents about being bisexual. Then there's Teo's friend Ravi. He's away on a family emergency for most of the book, but he's just really annoying! I had a hard time with him, but he gives the book some sort of an antagonist. A lot of things are going on in Signs Point to Yes, but it doesn't really seem like it because there is a lot of fluff. There is a great multi-layered plot in the novel, but things come and go so quickly that the book feels a bit rushed. For example, Jane is trying to deal with an over-controlling mother and her newfound feelings for Teo, but both issues are just glossed over every time they are mentioned. It's like this for many of the events and issues that the characters face, and just a few more paragraphs per chapter would have summed things up nicely. On the other hand, the plot is amusing and entertaining. Some of the issues have been touched in other YA novels, but Sandy Hall has a way with words that makes everything fresh again. Overall, I did enjoy Signs Point to Yes by Sandy Hall, and I can see myself rereading this book in the future just because it gave me the feels. (Yes, I think I just gave you all a Tumblr reference). If you're looking for something different to read, give Signs Point to Yes a chance. There are some fangirl moments. There are some romantic moments. There are moments with best friends, but there are also moments with family situations and problems that readers will enjoy reading about. The book is cute and off-beat, and I think that many fans of YA romance authors will enjoy sitting down on a beautiful day and reading it until they swoon. Sandy Hall is the author of A Little Something Different. She is a teen librarian from New Jersey, where she was born and raised, and has a BA in Communication and a Master of Library and Information Science from Rutgers University. When she isn't writing or teen librarian-ing, she enjoys reading, marathoning TV shows, and taking long scrolls through Tumblr. 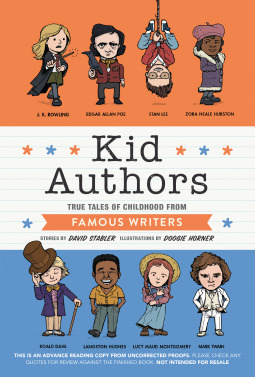 Erin is a twenty-something-year-old lover of words and fictional worlds. When she's not reading or reviewing YA, she can be found teaching or fangirling about Star Wars, Harry Potter, and The Hunger Games. Her other interests include the Pittsburgh Penguins, sewing, and exploring her hometown. It's Time to Listen to Carry On! No portion of this website may be reproduced, reposted, or used without the express written consent of the site administrator. The books that are reviewed on this blog have been purchased by me unless otherwise stated. If a publisher or author has sent a book to me for review, it will be clearly stated at the top of the review. I do not receive monetary compensation for any of my reviews. The Hardcover Lover est. 2014. Blog Design by Mischievous Reads. Powered by Blogger.